Update, January 31st: the next Comedy Gladitors line-up has now been confirmed as Steven Hofstetter (host), with Josh Wolf, Jamie Kennedy, Zainab Johnson, and Greg Fitzsimmons, as noted below. The event will take place on Monday, February 11th, 2019, commencing at 17:00 PST (03:00 GMT, Tuesday, February 12th, 2019). Tickets are available for the “early bird” rate of US $4.99 through until Wednesday, February 6th, 2019, thereafter most likely US $9.99 in keeping with the first Gladiators event. Sansar has recently hosted two comedy events – in fact the first two in a pair of series. The first, Comedy Gladiators, took place in December 2018, and featured Steven Hofstetter together with Ben Gleib, Maz Jobrani, Alonzo Bodden, and Mary Lynn Rajskub. I wasn’t able to attend the event given the US / UK time difference, but did provide some coverage of the event ahead of time. The upcoming shows will include Josh Wolf, Jamie Kennedy, Zainab Johnson, and Greg Fitzsimmons. The second series of events launched on January 12th, in collaboration with the San Francisco Comedy Festival. This featured comedians David Cross (Mr. Show and Arrested Development fame) and Amy Schumer (MADTv, Insatiable, Shameless), together with openers Irene Tu and Chad Opitz). A further Sketchfest event will take place on Saturday, January 26th, featuring Michael Ian Black and Andy Kindler, supported by Emily Catalano. All of the events are offered as ticketed activities – attendees pay via the Sansar Store in order to have access to an instance of an event. Starting with the January 26th event, Sansar users on Steam will also be able to pay for tickets via their Steam wallet. But what are these events actually like? I cannot actually tell you first-hand, as I’ve yet to make one (as noted the Comedy Gladiator event was far too late for me, while 9:00pm UK time on a Saturday evening generally means I’m out-and-about in the physical world. However, Steven Hofstetter recently issues an extract the first Comedy Gladiators event, which helps to illustrate things. This event saw a far amount of publicity ahead of it, with the Lab issuing a press release about the series launch, which was picked-up by a number of outlets. Steven Hofstetter also promoted it through his YouTube channel (although the promo video has since been removed, given the event has taken place). From this clip, I got the impression the participants had at least had some experience of using VR ahead of the show, even if certain aspects of their avatar’s reactions to their own movements caught them by surprise. 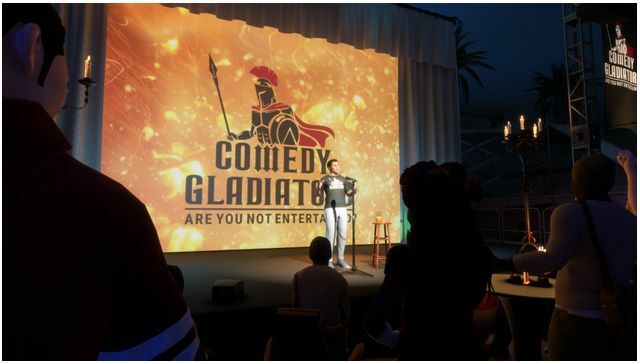 Compared to the Comedy Gladiators event hosted in Sansar on December 10th, 2018 (read more here), the SF Sketchfest is receiving fairly low-key and what seems to be very short-notice advertising through social media. And I have to confess, a video of the session Baz DeSantis pointed me towards last week does tend to back this assessment up. Focusing on David Cross and Arden Myrin (who was not listed in the original line-up) while on stage (or rather, with the audience), it is fair to say that what is shown is less stand-up comedy and more a exploration of VR by a couple of people who have never previously tried it. However, the flip side to this is that, while the session may not have been the kind of stand-up comedy presentation one might expect, there was also something of a level of interaction within it that one might not expect from a physical world venue of this kind; the hosts / focus of the show moving freely among the audience, chatting with them, exchanging hugs, etc. The show also took an interesting left-turn a little over half-way through the recording, becoming something of a Q&A session. On the one hand this allowed a degree of insight into the comedians: why they become involved in comedy, but on the other, as it started it did feel forced and almost like a fall-back option should the session didn’t go in an intended direction. Would I have come away from the event feeling happy? I’m not really sure; as a “stand up comedy event” the SF Sketchfest session to me falls very wide of the mark, and I’d like agree with Susan Wilson’s assessment. But as an opportunity to meet and chat with a couple of comedians in an informal, “unplanned” situation, it is an interesting experiment and I did find the latter half of the video somewhat engaging (I confess to previously being utterly unaware of either David Cross or Arden Myrin, so have no idea of their comedy styles). But that said, if these kind of event are to succeed in drawing an audience, the SF Sketchfest does suggest that Linden Lab perhaps need to give more thought either into how the events are presented, or in preparing the participants in advance for what they are getting into if this type of event and Sansar are to be seen as a platform for stand-up comedy that can reach a very different audience. I’ll leave you with the video of the Sketchfest event of January 11th (do note the language can be a little raw). Should any of you attend the January 26th event, I’d be interested in reading your feedback in the comments. In something of a (to me, at least) surprising move, Linden Lab has announced across-the-board increases in the number of experiences each subscription level of users can have published. Free users: Increased from 3 to 20 experiences. Creator (US $9.99 per month): Increased from 5 to 25 experiences. Super-Creator (US $29.99 per month): Increased from 10 to 30 experiences. Professional ($99.99 per month): Increased from 20 to 40 experiences. The major surprise in the announcement is its sheer scale, with free accounts seeing the limit on the number of allowed experiences increase almost 600% – huge by any standard (the others being 400%, 200% and 100% respectively). Give the scale of the increases, during the July 20th, 2018 Sansar Product Meeting, questions were asked about whether the Lab was looking to increase transaction fees off the back or these changes, and what will be done to maintain the attractiveness of the paid subscription levels, given the 20 experiences available with free accounts will likely meet the needs of most active creators. In addressing the fees issue, Landon from the Sansar Product team indicated that it is not the intent to make any alternations to other fees being charged by the Lab as a result of these changes, although he could rule out future possible changes as Sansar continues to develop. Eliot, the Sansar Community Manager also made it clear the increases to allowed experiences are not part of any bigger plan to increase fees or anything else. In terms of maintaining the value of Sansar paid subscription options, Landon indicated the plan will most likely be to make them more attractive by adding further practical benefits and perks in addition to the current Marvelous Designer free trial and subscription discounts. The initial response to the announcement among those actively engaged in Sansar has been positive. However, and from more of an “outsiders” perspective, I found myself considering both the strengths and the possible weaknesses of the move. 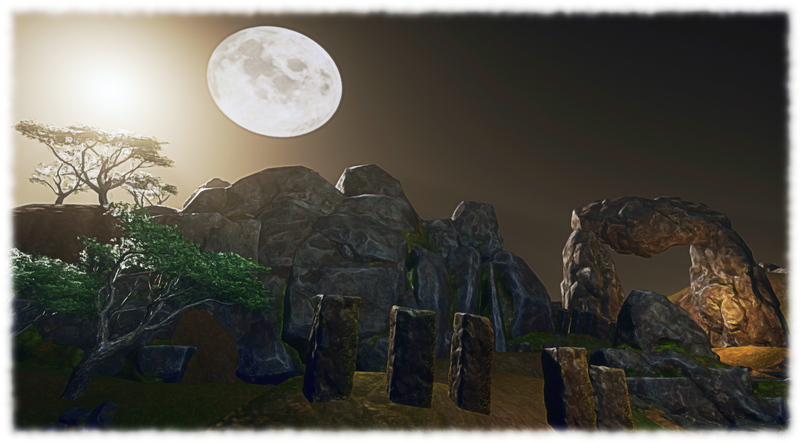 On the strength side, it could well – and the Lab hopes – up the ante for creativity in Sansar. More experiences means the opportunity to be more creative – and potentially more adventurous. How about something like a true multi-chapter (experience) quest or adventure (capabilities and functionality, of course, allowing). 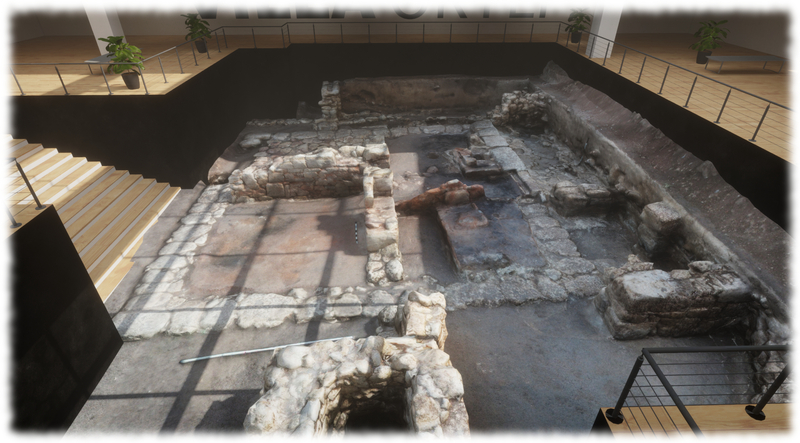 On the minus side the Atlas – still the main gateway into Sansar experiences – is dogged by the fact that of the 1,000+ experiences within it, only a couple of dozen might be regarded as actually engaging to an audience. 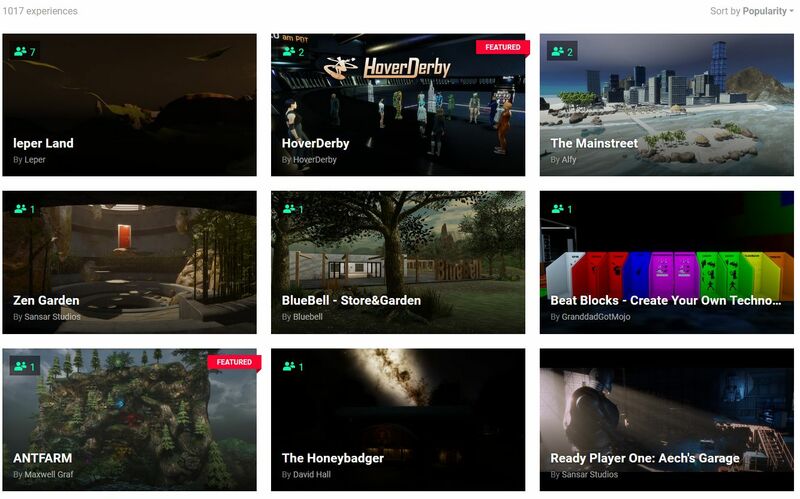 Also, with just the first 8 or 10 in the list tending to show people in them, scrolling through the Atlas tends to suggest that Sansar is actually a very empty / lonely place. 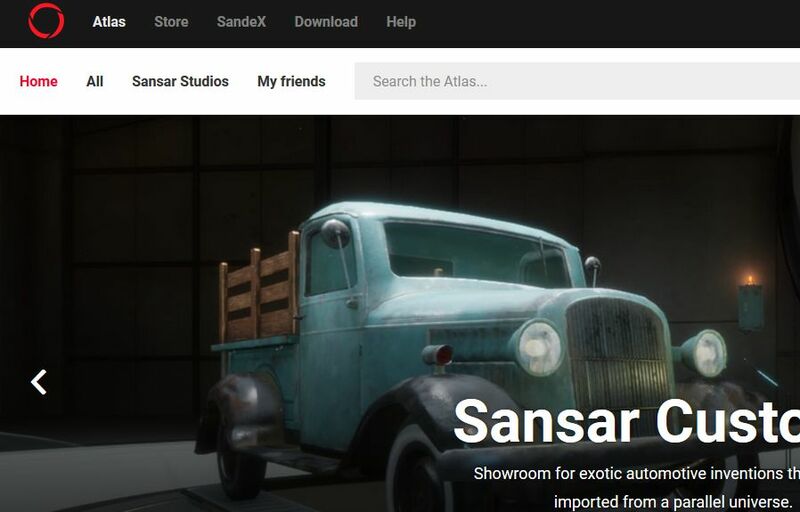 Simply having people add more experiences to the list – especially things like testing environments, sandboxes, etc., could actually both further “hide” then worthwhile experiences and increase the feeling that Sansar is “empty” when browsing the Atlas. But, growing something like Sansar is difficult, particularly when many core capabilities – a permissions system that would enable commence on the platform, for example – seem no closer today than they did when the Public Creator Beta launched a year ago. But while such observations might reinforce the case for Sansar perhaps having been launched prematurely, the fact is it is here, and efforts need to be made to try to grow the level of interest in the platform – and offering a greater range of experiences might be one way to do this. However, even if it doesn’t encourage people to come take a look at Sansar (and my feeling is that any growth in platform usage requires a far more concerted campaign on the part of Linden Lab), offering more experiences to creators is meeting a long-standing request. As such, it’ll be interesting to see how people opt to make use of the increase in the coming weeks / months. It is five months since the Sansar public Creator Beta opened. At the time it did I, along with many others, felt that maybe – from a “consumer” user perspective – the opening was perhaps a little premature: there was (and remains) little for general visitors to the platform to do – particularly those accessing platform via Desktop Mode – who would likely be in the majority. Of course, the aim of the Creator Beta was to … encourage more creators to the platform, rather than growing the platform’s user base. In the five months since that launch, there have been developments and improvements to the platform – and I have remained interested in seeing how the platform builds out. 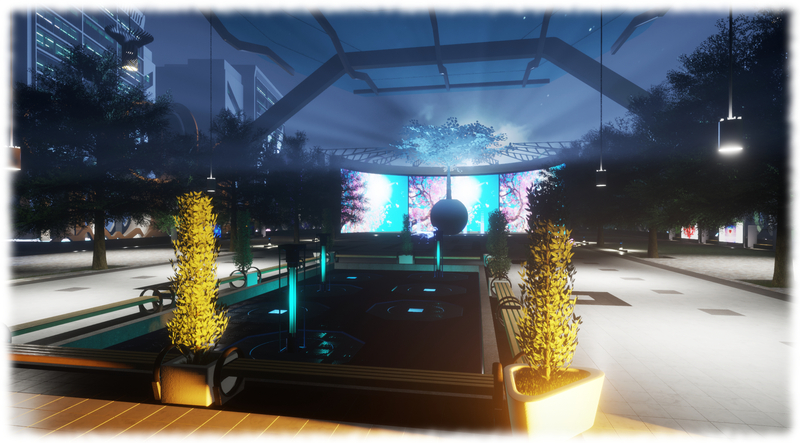 The Desktop Mode – the means by which, frankly, the vast majority of people are liable to use for access Sansar for the foreseeable future – in particular has seen some important improvements, although there is still a long way to go. However, recently the Lab has indicated that in 2018 they’d like to start addressing issues of generally user attraction and retention – which is fair enough. What has surprised me, however, is the idea – floated at a recent Sansar Community Meet-up – that some kind of “consumer launch” (consumer = non-creator user) is being considered for the platform in 2018. This actually surprises me; there is still so much that needs to be put in place on a technical level alone which is needed to help encourage usability. There’s the whole permissions / licensing system – vital in allowing creators offer their goods on more flexible terms (e.g. modifiable); providing the means for avatars to interact – dance, sit, etc; offering a customisable avatar, and so on. The Lab has indicated much of this is complex work, and proving difficult to implement. Should this continue to be the case, then trying to push the platform to a broader consumer user base before the end on 2018 seems to be a tad optimistic at best; at worst, it could be self-defeating should people find that while Sansar looks good, there is really little for them to do. Nor, I’d also suggest, are there just technical issues to be faced when considering drawing in a broader audience. Two things in particular have been on my mind for some time now. Frankly, I’m still stunned that this wasn’t the route taken from the start given the Lab have the tools and the experience to use them, which could have been easily leveraged, rather than going for a tool entirely unsuited to the task and which presents information in a very unfriendly – and dare I say amateur – manner. Simply put, the Lab has an ample investment in the SL community platform tools in terms of time, effort and development experience. That they apparently opted to ignore all of that to try to reinvent the wheel using a tool evidently unsuited to the task seems nothing short of an exercise in disconnected thinking. Sansar needs and deserves a descent community environment. Yes, there is Discord, and yes, it is more ideal to have user-to-user interactions within Sansar experiences, rather than by people sitting in forums, etc. But the fact is, forums, blogs, a structured knowledge base, all supported by a decent search engine do far more than “just” provide a space for users to interact: the forum a core aspect of news and information dissemination, as such their value simply shouldn’t be under-estimated or dismissed as something to consider somewhere down the road. There’s something more here as well. Not only can a decent community platform form the backbone for communications (via outwards blog posts, through forums discussions, the provision of documentation, etc), it can do much to help boost ta platform’s web presence and attractiveness to potential users. Again, right now Sansar’s website – beyond the initial splash screen – is both simplistic and confusing – and not a little bland. Surfacing blogs, forums, etc., immediately adds depth to Sansar’s website and presents the opportunity to draw people in to the platform – if done right. The second thing I’d like to see the Lab address when considering encouraging more “consumer” users into Sansar, is that of the Atlas. Again, we’ve already seen some improvements here: the ability search listed experiences and to list those offered by friends, and we have the promise of indicators for how many people are in any given experience. Even so, with over 700 experiences already listed, finding those which relate to a specific interest is hard. Of course, the idea with Sansar is for experience creators to be able to direct an audience to their experiences through their own web presence – and this will be more than enough for some of the markets the Lab hope (/ are?) attempting to attract to Sansar. However, for the broader audience of potential users who may well come to the platform by way of the web, providing the means for creators to categorise their experiences and for users to group / select experiences based on those categories would be of and undeniable benefit – even with the complexities involved in defining / managing suitable categories. Additionally, providing a means for people to directly “bookmark” experiences that interest them within the Atlas would also be of enormous benefit. I admit to remaining unconvinced that Sansar is really ready for a “consumer” audience. However, if the Lab is determined to move in that direction, I at least hope that things like updating the forums / blog environment and making the Atlas more amenable for users to locate / record the kind of experience they’d like to visit, is given as much attention as issues of presenting improved “in scene / experience” capabilities. It’s been just over a week since the Sansar Creator Beta opened its doors to the public, allowing anyone who wishes to visit to do so. I’ve been jumping in and out for a while, both as a part of the Creator Preview and during the last week, and have also been following some of the feedback since the doors opened on Monday, July 31st. So, what are my thoughts (whatever worth they might be) on the new platform? Well, first and foremost – it’s not Second Life. I’m being neither flippant nor dismissive in saying this. Sansar is a very different beast to Second Life, and is liable to remain so for a good while to come. However, despite all the comment to this effect from the Lab, in blogs like this and elsewhere, there still seems to be a perception that Sansar somehow “is” the “new” / “replacement” Second Life, giving rise, perhaps to certain expectations where Sansar is concerned, as well as fears for SL’s future. Certainly, and given it is early days for Sansar, which is still being built out with capabilities and features, the time may come when it appeals more to some SL users than SL itself. However, given the Lab intend to continue to develop Second Life for as long as it is a viable product1, it’s equally fair to say that other SL users may find Sansar offers little they don’t already enjoy in Second Life, and thus remain with the lattr as it continues to be enhanced; equally, some may find it attractive to have a foot in both. But overall, it is far too early to be looking at how Sansar is affect SL log-ins or carrying forward fears about SL’s future – particularly given the Lab is looking at a far broader audience for Sansar than the existing SL user base. One significant area of negative feedback I have witnessed is over the use of the term “beta” in the title of this phase in Sansar’s development, with people decrying it as “not beta software”. However, I’d suggest that doing so is more a case of mistaken context than anything else. 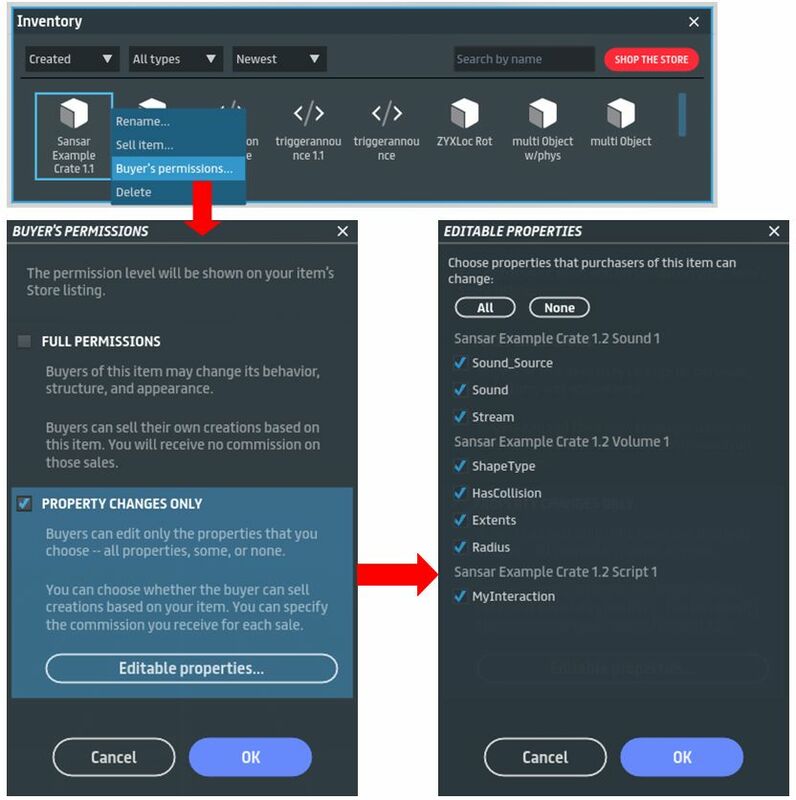 “Creator Beta” isn’t a reference to the platform’s software development status (and thus a reason to dismiss it); rather it is indicative that this is the “second phase” of the development work involving creators – the first having been the closed Creator Preview. The following feedback is based on what is currently available in Sansar, rather than what is lacking at present. Atlas: the Atlas is a mixed bag. The title approach to presentation just doesn’t work for me, particularly given positions of items seem to change based on rating (visits?). Hopefully some form of experience categories / classifications will be added over time. Positives: URL access from web Atlas to experiences; ability to easily copy & share experience URLs; “slide show preview” option (although this is also now getting cumbersome); ability to see all experiences by a specific creator. Client Run-time UI: simple, clean, options easy to find and icons reasonably easy to identify. Snapshot capability: basic, but usable, particularly when using the camera in “free flight” or operating in first-person mode. Movement: the WASD / arrow keys are pretty much standard for games (and should be familiar to all SL users). The personal teleport option (CTRL and Left-click) can be very handy for “rapid” movement around experiences. Negatives (Desktop mode): no apparent default “follow avatar” position after orbiting camera (right-click and mouse drag) around avatar centre can initially be confusing when resuming avatar movement; the side-to-side juddering of the camera on small avatar turns left / right using the arrow or A and D keys can be visually unsettling (try pressing and holding the right mouse button and turning by dragging the mouse gently left / right for a smoother experience); “free flight” movement (F4) very basic, with camera movement perhaps a little too fast by default (numeric “-” to slow down / “+” to speed up). Positives: reasonable integration with the mouse at this point; good first-person representation, making this “Mouselook” approach to movement superior to SL – although it would be nice to look down and see one’s own avatar. Avatar: basic, but acceptable. The walk is ungainly, but will hopefully be improved alongside things like the return of running, greater customisation, etc. One strongly disconcerting element with the avatar right now is watching those who are using HMDs and hand controllers. The latter allow the avatars arms to behave most unnaturally (e.g. passing through the avatar’s body, arms sometimes appearing to detach from shoulders or bending weirdly, etc). Avatars being guided with HMDs / controllers also appear to have a really odd-looking arm “at rest” pose (hands held out in front of them as if carrying an invisible box). 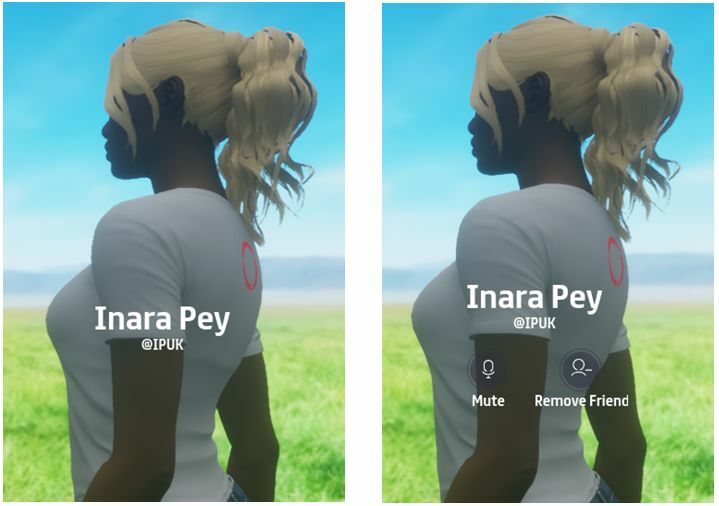 Identification: for those from SL used to seeing avatar tags, this is perhaps the hardest element to get used to in Sansar – it’s simply not possible to readily identify who is who in a large group of people. The reason for the lack of tags is given as “spoiling the VR immersion”. Fair enough; however, right now, the avatars are far, far too generic to allow for easy visual recognition – so much so that people have already resorted to their own means of “tagging” themselves with their names in mesh placed above them or by wearing badges with their names on them. Chat: text chat works well, as does direct messaging in text (IMs). It’s useful to remember the former can be seen throughout the current instance of the experience – there is no range limit as with SL. Voice chat is similarly unimpeded by range and can, frankly, be a pain right now. While audio may well be spatial, when operating in groups, overlapping conversations can become confusing – as can quickly identifying just who is talking. People also have an annoying habit of leaving their microphones open when not speaking, leading to extraneous noises spilling “in-world”. While this is not a specific issue for Sansar per se, the controls for muting are currently limited, and the inability to disable voice entirely (so one can focus purely on audio from videos, etc., within an experience) can be irritating. Interactions: basic, but developing. HMD / controllers currently give far more in the way of interactive abilities (“holding” things, throwing things, etc), but Desktop mode allows some interaction with objects – notably teleport disks, doors and portals. A lot of SL users have seen the Creator Beta as “premature” on the basis of a lack of expected capabilities. I’d agree that opening the doors to a general audience does feel premature – but not strictly because of any lack of capabilities per se. Rather, given this is intended to be a further step in developing the platform from a creator’s perspective of the platform, why throw the doors wide now? As it is, it has been indicated to the media that the Creator Preview attracted 10,000-12,000 applicants, of which some 2,000 were invited into the platform, so why not simply keep rolling that process forward for another few months? 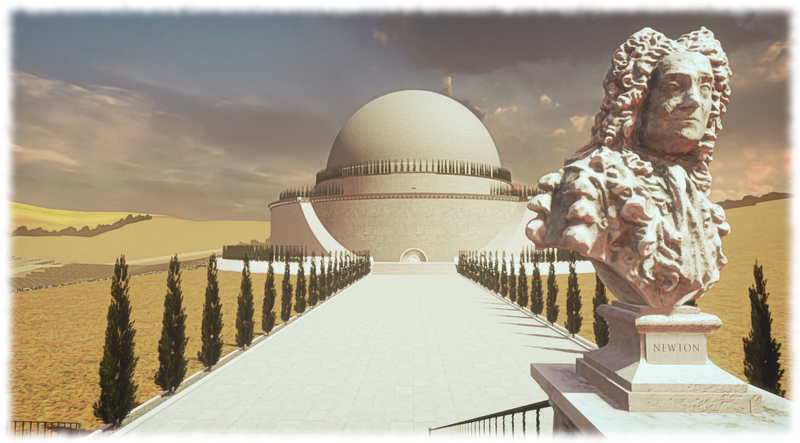 If nothing else, it would have achieved two potential goals: allow further integration of more of the social tools and abilities which the Lab have indicated are part of the raison d’etre for Sansar, and it would have likely reduced the volume of negative feedback by offering general users more “things to do” when visiting experiences. All of that said, the Creator Beta undoubtedly gives a glimpse of the potential for the platform to reach into a range of markets, should those markets continue to invest in and grow their use of this new era of VR as a medium. This is an important point to repeat, because Sansar really isn’t about building another virtual world a-la Second Life, nor is it – strictly speaking – about appealing to the wants and needs of Second Life users. The Lab is casting Sansar’s net far wider, as has repeatedly been said throughout the development process, and which was repeated during the Creator Beta launch. When one visits experiences such as LOOT Interactive’s Apollo Museum, or Sansar Studio’s Villa Ortli or any of the experiences being built by Mencius Watts, aka John Fillwalk from the Institute for Digital Intermedia Arts (IDIA – a division within Ball State’s College of Architecture and Planning that explores the intersection of digital and physical design) the huge potential of Sansar in the realms of architectural design, historical recreation, and education and learning via immersive environments, becomes abundantly clear. Other emerging experiences equally point the way towards Sansar offering unique opportunities for entertainment and games. Teager’s Secrets of the WorldWhale, for example, offers a glimpse of adventure / explorations type environments which could be built complete with interactions, and Maxwell Graf clearly shows that role-play could be well suited to the platform. In this, it’s perhaps important to note that the response to Sansar from beyond Second Life has, it’s fair to say, been positive. The press has been good, and (I understand) it has led to an uptick in interest from agencies beyond the SL catchment. What will be interesting to see is how this interest / involvement grows as Sansar continues to be built-out, and just how effective the Lab is working both directly and through partners to enhance Sansar’s visibility among the markets they’d like to reach, the expansion in use of VR within those markets allowing, as time continues forward. I hope to be able to write more on this in a future article.